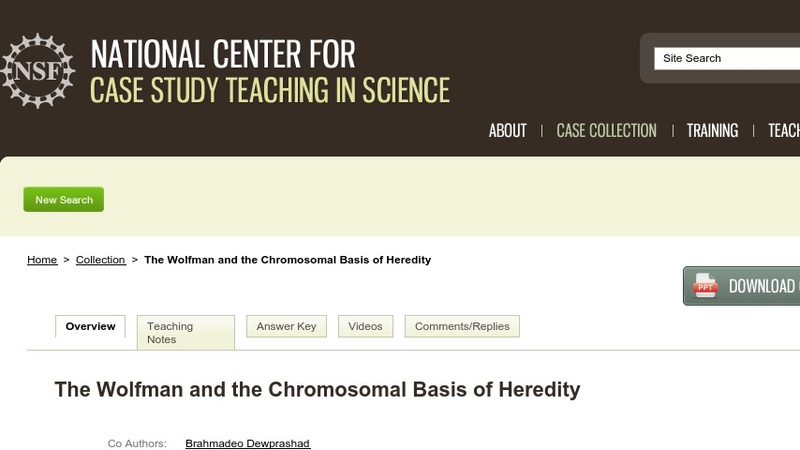 This “clicker case” tells the story of Danny Gomez, a Mexican circus performer, and his family in order to teach basic principles of genetics and chromosomal inheritance. Five generations of the Gomez family suffer from a very rare disease called congenital generalized hypertrichosis, which results in excess body hair in places that would not usually have significant hair growth. During this case, students explore basic Mendelian inheritance patterns, learn how probability is connected to genetic outcomes, and are introduced to the concepts of lyonization and atavism. The case is designed for use in an introductory non-majors biology course; it could also be used in a high school AP-Biology course. It consists of a series of PowerPoint slides (~800KB) presented in class that are punctuated by multiple-choice questions the students answer using “clickers.” It could be adpated for use without these technologies.